Spices and Seasonings organic origin. 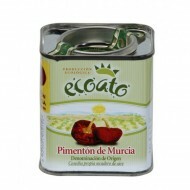 Buy Organic Paprika with OD Murcia, Oro Molido, Tin of 2.64oz. Sweet flavor, strong and penetrating characteristic smell, bright red color, high coloring, oily and with great stability of colour and flavor. 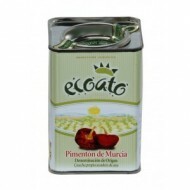 Buy Organic Paprika with OD Murcia, Oro Molido, Tin of 5.64oz. Sweet flavor, strong and penetrating characteristic smell, bright red color, high coloring, oily and with great stability of colour and flavor. Buy Saffron Pure Vegetalia, 0.017oz. Ecological saffron strands. 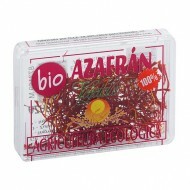 Natural saffron special to give food more flavor and color. The strands Saffron is known as "red gold". Product No Gluten, lactose free, egg free and sugar free. Special ingredient for paella.